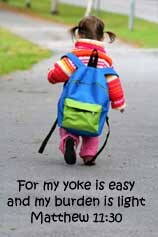 Or Make a project using "Pastels/Chalks or Pastel Colors". Or "Mash it Up" and create a "Birthday project using Pastels" . the card was just cardstock ...ribbon from my scrap bin..
yes we got some snow ...not much but some. and of course our daughter's Samantha ..
Great idea to use the embossing folder with a patterned paper. You did a lovely job of colouring the other card, I like the layout of that one too. Hope you are having a FANTASTIC weekend my friend!! So nice to see all your crafting! Your first card is so pretty - I'm a sucker for polka dots. Such nice and bright colors too! Congrats on the second card, your coloring is terrific, you're really coming along and the sheer ribbon is the ideal element to pair it up with. Whoever receives these will be very blessed. 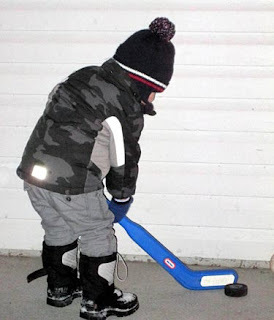 Awww - Ethan looks like a future hockey star! Always enjoy your photos! I think that both of them are awesome. Fantastic cards Judy. Wonderful job colouring that image. I always love polka dots on birthday cards! Great colouring! Thank You for playing in paradise. 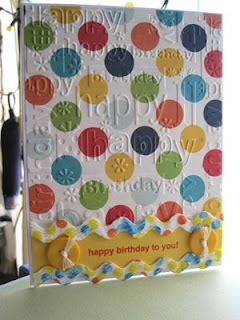 Love the polka dots and ric-rac on your birthday card! 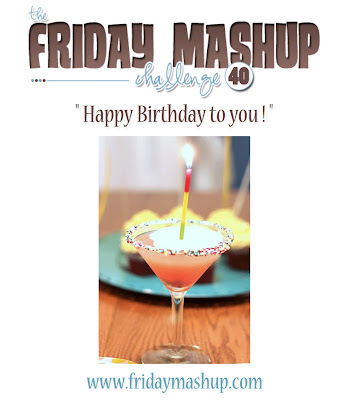 Thans for playing along with the Friday Mashup! 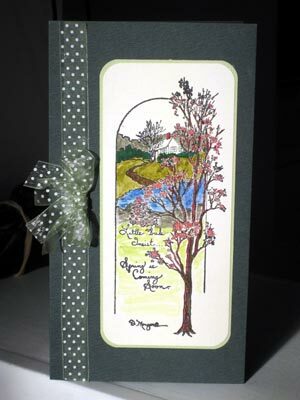 Judi this came out great.. What a great idea to use patterned paper like that with an Embossing folder. It really pops! Thanks for joining us at the Friday Mashup. luv the polka dots, so cuuuute...hope you have a fabulous day! What a bright and fun birthday card! I love it! That image on your second card is just awesome, I love it! What a fun card! I love all those colorful circles and the embossing just looks awesome! Thanks for joining us at The Friday Mashup! 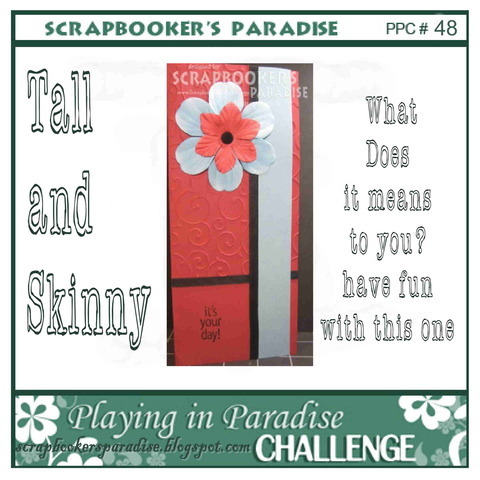 Your tall card is lovely! What a beautiful stamp! Thanks for Playing in Paradise this week. Lovely bright and fun card. 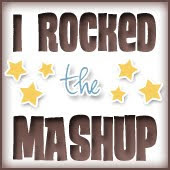 Thanks' for playing at The Friday Mashup.